Wadsworth was one of the key figures of Vorticism, the English modernist movement. 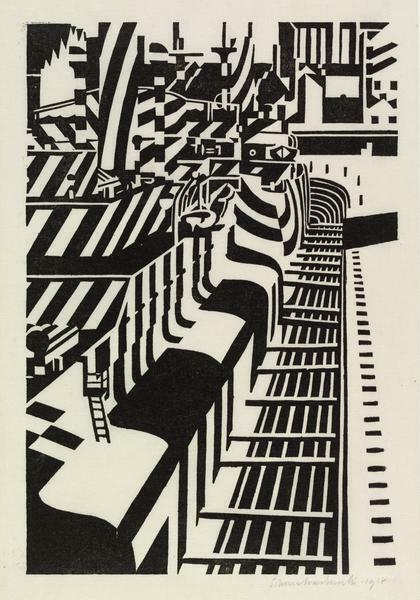 The Vorticists burst upon the London art and literary scene with the publication in the summer of 1914 of the first number of their radical manifesto and journal 'Blast'. 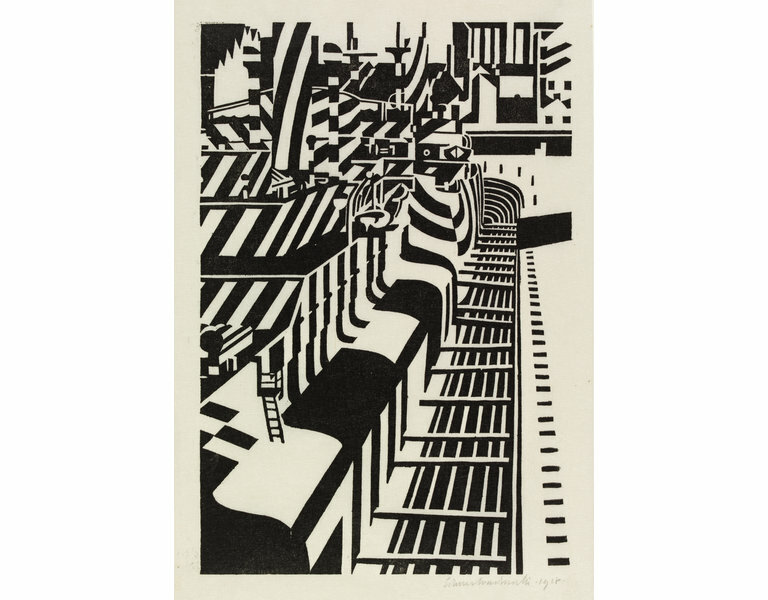 Wadsworth's starkly abstracted woodcuts of this period celebrate the imagery of mechanisation and reveal an optimistic awareness of new kinds of urban and industrial landscape. Later, powerfully affected by his experiences of the First World War, his vision would become bleaker. 'Dazzle ships' is one of a group of prints inspired by the wartime months that Wadsworth and several fellow artists spent in Bristol and Liverpool pioneering the use of painted camouflage for warships. 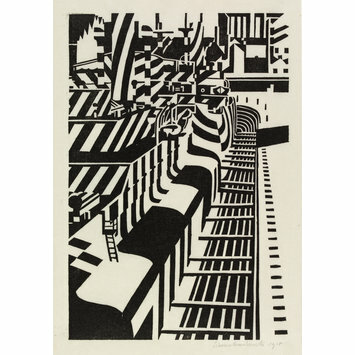 'Camouflaged ships in dry dock' or 'Dazzle Ships', Edward Wadsworth, woodcut, British, 1918. Proof on Japan paper, signed in pencil Edward Wadsworth, 1918.